In recent years, a spotlight has been shone upon the tech industry’s diversity problem. In response, there has been a massive push to promote greater diversity in STEM fields like information technology – many backed by the federal government. However, despite the media attention and public relations, there still seems to be a lack of diversity in technology. Tech leaders who have lagged behind and have not made diversity a priority aren’t just suffering from potential PR issues. They are also doing their business – and their bottom line – a disservice. Companies that score in the top 25 percent of racial, ethnic and gender diversity enjoy higher-than-average industry returns. Companies in the bottom 25 percent for gender and ethnic diversity are less likely to achieve above-average returns. For every 10 percent increase in diversity, an organization’s earnings increases nearly 1 percent. Generate projects on time and on budget more often than homogenous tech teams. Are more likely to innovate and experiment with creative solutions. Both companies and their tech employees benefit from a commitment to diversity because a mix of experience and perspective simply leads to more profitable organizational outcomes. Even after understanding the benefits of diversity in tech, and even if your organization has embraced efforts to hire a more diverse team, it is often difficult to meet your diversity hiring goals. Many experts believe the problem is not related to a lack of diverse talent, but rather, is a problem of pipeline cultivation. Hosting meetups, lectures seminars and coding events. Create a referral bonus program for employees. Ensure job postings are gender-neutral. Include pictures of people from diverse backgrounds on your website and social media. Are You Committed to Building a Diverse Tech Team? Diversity in tech isn’t just about building on talking points. It is really about improving organizational success and innovation. Diversity helps promote creativity and collaboration in ways that are not possible on a team where everyone is the same age, gender, race, ethnicity and socioeconomic background. Improving diversity takes time, however. 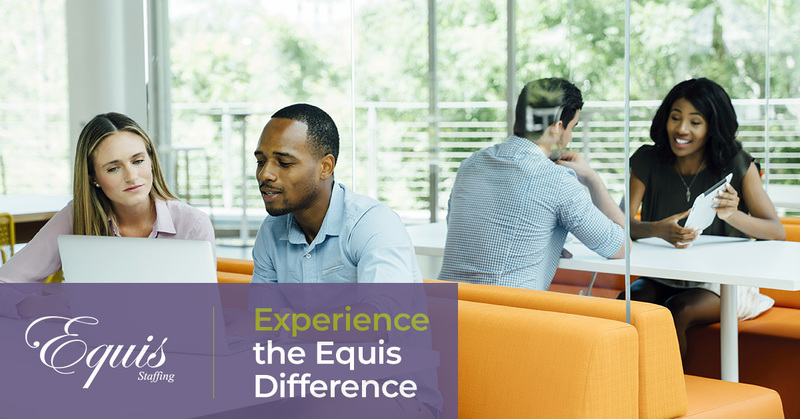 Partnering with a strategic staffing firm like Equis Staffing can deepen your talent pool and help you connect with more diverse candidates. Contact us to discuss your goals with one of our skilled team members today and see how our workplace expertise can benefit you.